Toyota Motor could make a handy tune-up with a buyout of Daihatsu Motor. The world’s biggest carmaker is considering taking out minority shareholders in its $5.4 billion subsidiary, in what amounts to a sensible bit of house-keeping. A bolder follow-up would be to take control of affiliate Subaru. Responding to a report in Japan’s Nikkei newspaper, Toyota says it constantly ponders its relationship with Daihatsu, of which it owns slightly more than half. That includes thinking about partnerships or a restructuring leading to whole ownership. A full buyout would be a long way from transformational for Toyota, whose own market value exceeds $190 billion. However, it would still eliminate inefficiencies. While Daihatsu’s focus on mini-vehicles caps profitability, greater purchasing power and cutting overlaps would help Toyota lift the unit’s 9 percent EBITDA margins closer to the group’s 15-percent-odd level. 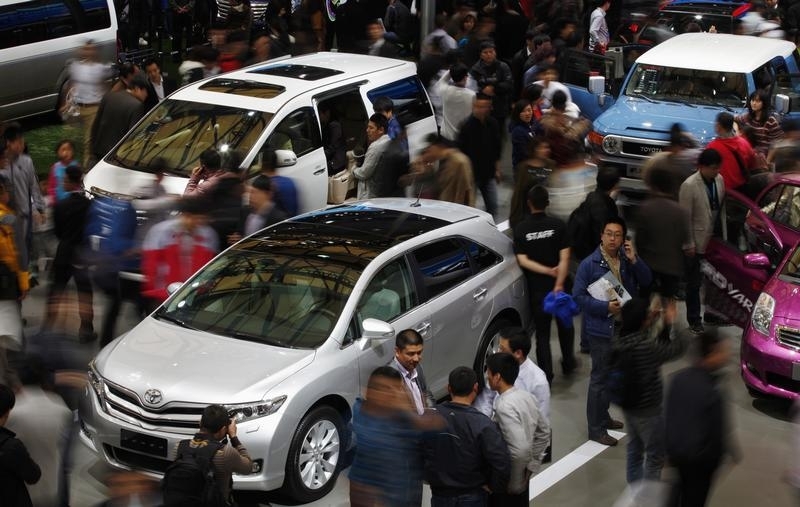 Plus small cars, vital to any push deeper into emerging markets, are something of a weak spot at Toyota. A deal would also eliminate one of the troublesome “parent-child” relationships between listed parent and majority-owned subsidiary that are too prevalent in Japan. Investors in the parent tend to worry they don’t get all they might out of ownership; investors in the subsidiary fret that they can be short-changed in dealings between the two sides. Bringing the two together should in theory create value on both sides. Moreover, a share swap would be a good way to soak up some of Toyota’s huge store of treasury stock, which as of end-September was equivalent to nearly 9 percent of its outstanding shares. Further out, Toyota could try some bolder dealmaking. On Jan. 27 both it and Suzuki Motor roundly denied reports of a tie-up – no surprise given the fiercely independent Suzuki has just extricated itself from a failed alliance with Volkswagen, and competes head-on with Daihatsu in Japan’s small “kei” car market. A better option could be to buy Subaru from Fuji Heavy Industries. Toyota already owns 16.5 percent of Subaru, which has transformed itself into something approaching the Japanese Volvo: making rugged SUVs that sell well in North America. Not something you can say of Daihatsu’s tiddlers. Toyota Motor is planning to turn Daihatsu Motor into a wholly owned subsidiary through an equity swap, Japanese newspaper Nikkei reported on Jan. 27. Toyota currently owns 51.2 percent of Daihatsu. Toyota and Daihatsu said they had been discussing various options but nothing had been decided. By lunchtime in Japan on Jan. 27, Toyota shares were up 3 percent at 6839 yen. Daihatsu shares, which closed at 1481 yen on Jan. 26, were untraded with a glut of buy orders. Separately, Toyota and rival Suzuki denied a Nikkei report they were discussing a potential partnership that could include a capital tie-up. The business daily said the two were discussing a possible partnership from a variety of angles including a cross-shareholding deal. “It is not true that we have entered negotiations over a tie-up with Toyota,” Suzuki said. Toyota issued a similar statement.